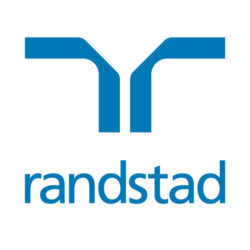 Randstad are working with a well known Main contractor with HQ in PJ (Kuala Lumpur) - our client have delivered High rise, Hospitals and Airport projects and are well known in the civil building works industry. They also have a fast growing Developer side which has an exciting pipeline of high rise projects, commercial and condominium. Working closely with the Project manager you will have ultimate responsibility for the running for the site. Although the role is working for a Malaysian Main contractor their client is a Developer from Mainland China. Working alongside the PM to ensure the smooth running of day to day operations. his position is suited to an individual who ideally has 10+ years as a Site manager or Construction manager. Trade qualifications or DEGREE in building combined with strong time management skills, attention to detail and an excellent work ethic are essential for this role. You will be joining an experienced team of professionals who will support your development within the business. Click on the link below - for further information please contact Ashley Mathew – +603 2036 6643 - Interviews are taking place over the next 2-3 weeks so do not delay.